No matter what anyone thinks, meters are great. I’m not just saying that as the MD of a meter stockist; they genuinely make everyone’s jobs easier. Whichever utility it’s measuring – water, electricity, thermal, steam or oil – the humble meter allows you to measure usage and devise ways to make your building more energy efficient. Properly fitted, they can run quietly for over a decade without anybody worrying about them. But the fact remains that the meter is severely underappreciated. When it comes to the Building Services Industry, they are relegated to merely an afterthought. The last thing on the shopping list. The importance of their selection, installation and commissioning is missed by consultants, building services engineers and system integrators, and it’s costing them money in the long run. Some will argue that meters are rightfully low in the pecking order, when vital equipment such as boilers, CHP and air handling units need to be considered first. 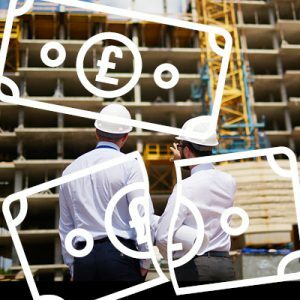 As such, and working with depleted budgets and time pressures, contractors often look to the quickest and cheapest fix when choosing their meters. They disregard quality, accuracy, and pay no mind to its operating life. “As long as it works for a year,” is a mentality I often see. The problem is if meters fail after a couple of years the long-term costs will skyrocket. For example, if a meter needed replacing three times in ten years then the additional costs of replacement, labour charges and disruption from your meter stockist will outweigh the cost of purchasing high quality meters in the first place by a factor of three! What many don’t realise is that by paying for the wrong meter they are making other investments as good as redundant. Specifically, expensive data collection and display systems that more and more companies are using. If the meter is inaccurate, the whole system of data analysis collapses. Get that initial meter selection right at the design stage, and you ensure everything runs smoothly now and in the future. Correctly chosen, installed and commissioned meters will accurately operate for 15 to 20 years. They’ll outlive all of those other items that you spend so much money on. That’s why it’s so important to work with a metering company with the technical knowledge to recommend the right meter for the job. Recently my company MWA Technology announced ourselves as the largest meter stockists in the UK. That puts us in a good position to do whatever we can to make sure you get the right meters first time. Save money in the long run and get the most out of your data analysis by giving us a call on +44(0)121 327 7771 or checking our huge product range online. There’s plenty of choice, we are the largest meter stockist in the UK after all. Martin Wardell, Chairman and Managing Director of MWA Technology – Connect with Martin on LinkedIn. Follow @mwa_technology on Twitter and follow the LinkedIn page.